We spent many years living in the middle of nowhere, so if I’d forgotten to buy milk it was basically tough, or when it snowed really heavily for days and days and we got snowed in for ten days we were literally scrabbling around trying to make the food last. So, after moving to a town last year, for a food obsessive like myself, faced with food on the doorstep I have been in my element. Then, over the summer Deliveroo popped up in our town…so not only did it open up the option of more food being delivered to the door but also lots of restaurants you wouldn’t usually be able to ‘take out’ from. Last year to many cries of protest Pizza Express removed their flaming hot Etna pizza from the menu…but it’s back and we had the opportunity to have the Etna pizza delivered. 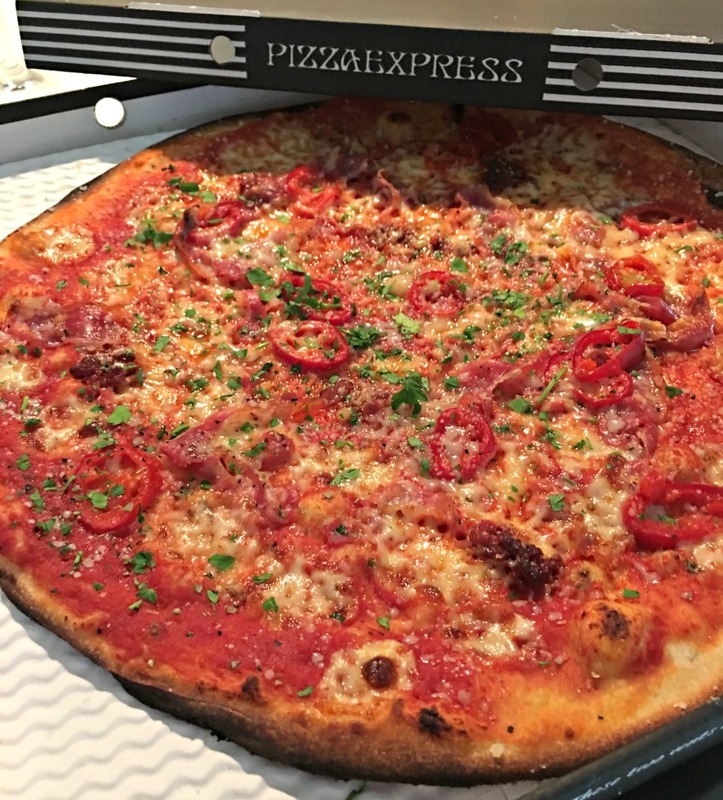 The spicy Romana recipe, which sees hot soft ‘nduja sausage paired with sweet and spicy roquito chilli peppers, is exclusively available for customers to order either by logging on to their Deliveroo mobile app, the main website or the central PizzaExpress website sourcing their nearest PizzaExpress restaurant. Beware this pizza is not for the faint hearted, it is hot, hot, hot and will put a little sweat on the most hardened chilli lovers. But it tastes oh so great! We went for a Romana base which is bigger and thinner than a classic. 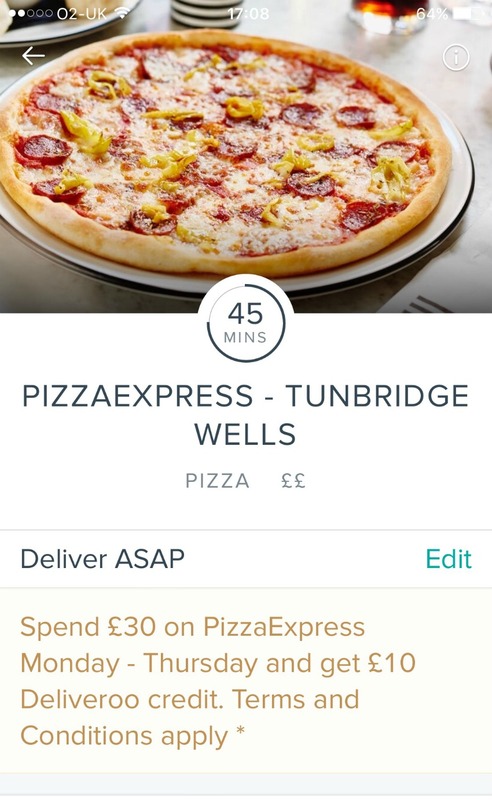 The Deliveroo app is ever so easy to use, it is bright, clear and it takes just a minute to place an order. 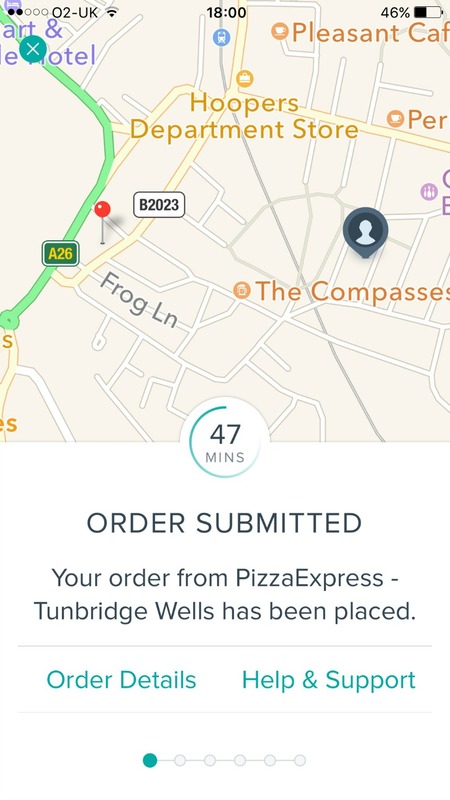 There is a minute by minute countdown until you can expect your order to arrive and you also receive a message when the food is on it’s way and another when the rider is very close. 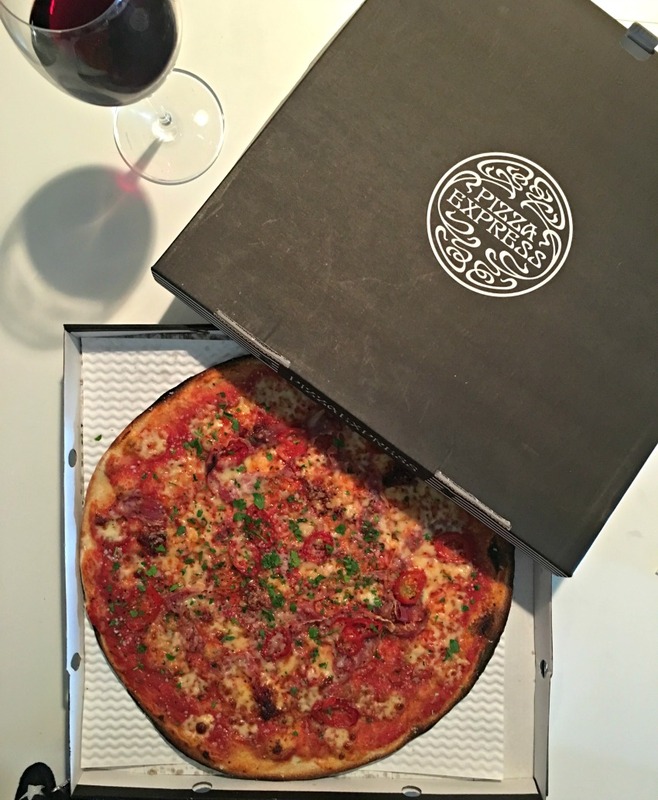 So, if you are craving the Etna, a Pizza Express favourite, all you have to do is log on to Deliveroo, place your order and it will be with you in a jiffy! Nothing more decadent than having dinner delivered is there. Disclosure: We were asked to review the Etna pizza from Pizza Express and the delivery service by Deliveroo but all words and opinions are my own. It looks great! Really clever this app 🙂 Great review!